1. Proceed to the rental shop to purchase your area pass, rental equipment and/or lessons. 2. If you have purchased rental equipment or check in with our Rental shop and they will get you set up. All skiers/riders require an area pass prior to getting onto any of our lifts. An area pass allows access to Stony Mountain Ski Area runs and trails, however there is a responsibility that comes with it. By wearing an area pass the skier/rider is agreeing to the restrictions of Stony Mountain and takes on the responsibility of respecting the rights of all other skiers and riders. An area pass will be issued for the day you are skiing/riding. On the reverse of the pass is the Exclusion of Liability. Snow Valley requests everyone accepting an area pass with the intent to use it, read this information. The Exclusion of Liability conditions are also found on a sign at the Rental Shop. Everyone who purchases an area pass should be aware of these conditions and realize that they are accepting responsibility for their own safety. A trip to any ski area is exciting and fun, however, there are certain rules that must be followed. 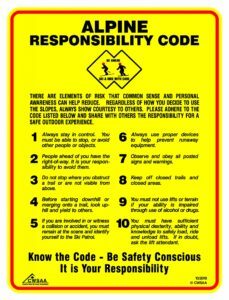 These rules are detailed in the Alpine Responsibility Code. 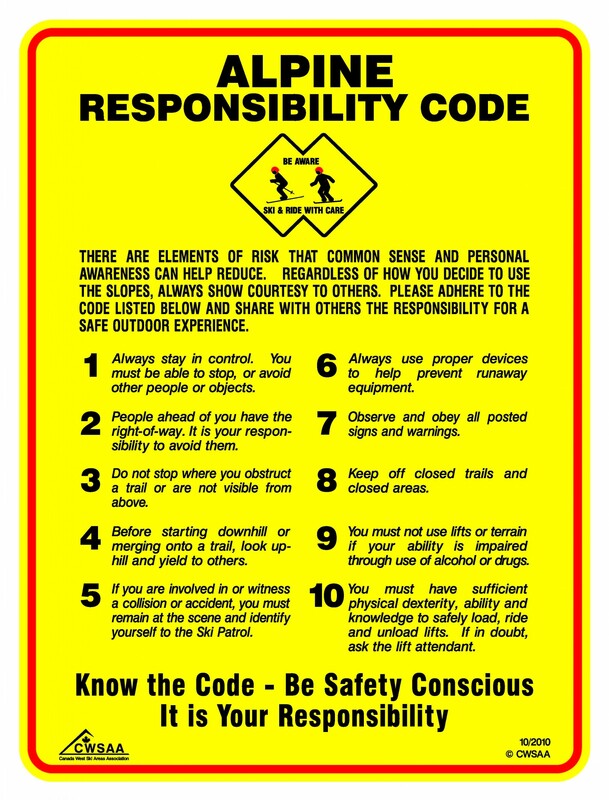 The goal of the Alpine Responsibility Code is to assist in the prevention of accidents and in the creation of a safer and more pleasant skiing environment.